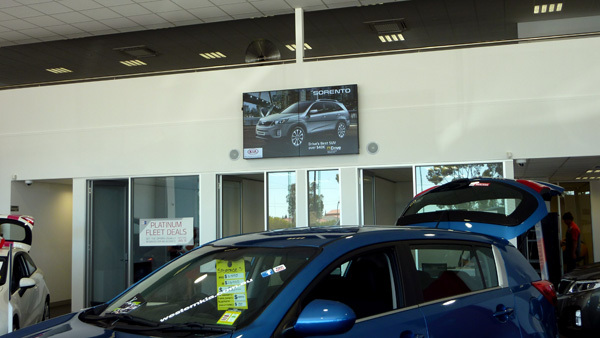 KIA required a large visual display solution for their main showroom and a secondary screen for their service area. 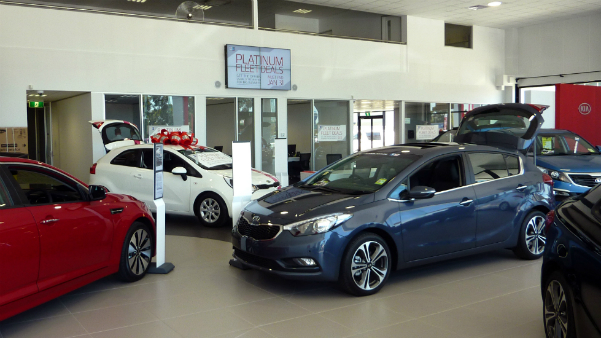 With constant and frequent changes to promotions KIA was in the market for solution that could be easily managed and supported whilst the content is engaging for customers promoting KIA offers, specials and brand marketing. 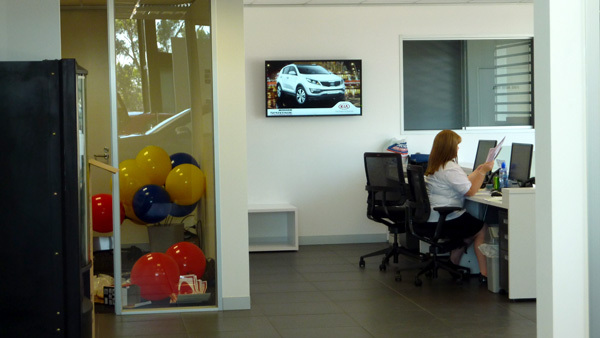 Crystal Clear IT Business Services supplied and installed a 92” inch NEC VIDEO WALL in the main showroom plus an additional 46” NEC digital panel located in the service area. This solution also included an iPAD integration feature allowing content on an iPAD to be mirrored wirelessly onto the Video Wall. This feature turns the Video Wall from displaying content into a business selling tool assisting the sales staff in the selling process. The entire digital solution is managed and monitored via our fully managed service whereby we schedule and update content. 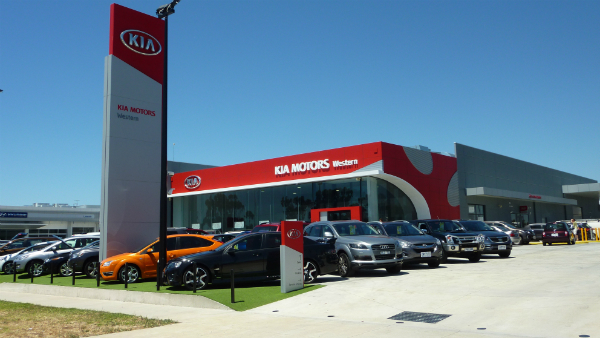 All content is updated on a regular basis ensuring content is fresh, relevant and complementing the KIA brand, deals and new car promotions. Ultimately enhancing the customer experience and assisting to increase sales and brand awareness.